When: December 1, 2018, 1-4 p.m.
We are combining our November and December meetings. Instead of meeting in both November and December, we will meet December 1. Our annual after-holiday party will be January 26 at our regularly scheduled sew day. At our January after-holiday party we will exchange pillow covers. We emailed members a form to fill out so swap partners can learn a bit more about each other’s likes and dislikes. The last day to complete the form is 12/2/18 and we will let you know who your swap partner is a day or two after that. The pillow covers will be exchanged at our After-Holiday party on 1/26/19. 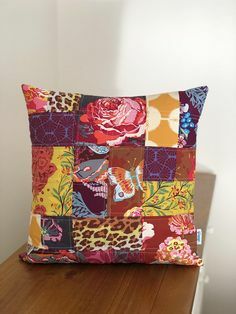 Need ideas for making a pillow cover? 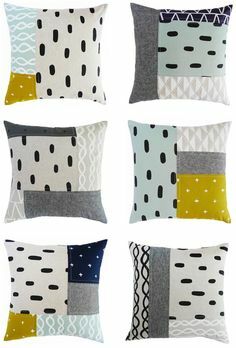 Visit our Pillow Covers Pinterest board https://www.pinterest.com/boisemqg/pillow-covers/. You will be making and giving the pillow cover only, NOT a pillow form. 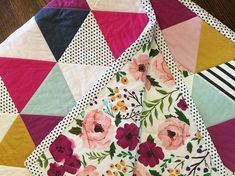 Dues: If you are interested in being a member of the Boise Modern Quilt Guild in 2019, we’ll be processing memberships. If you’d like to take care of your membership beforehand, or if you can’t make it to the meeting, please go to the Boise Modern Quilt Guild Membership page and use the PayPal option to pay your $20 dues online. Or you may mail your $20 dues to Shelly Harshman at 1196 W Bear Track Drive Meridian ID 83642. Checks should be made payable to Boise Modern Quilt Guild. Please have your dues in by December 2, 2018. Financials: We will review our financial information – where money was spent in 2018 and what we expect our expenses to be in 2019. Voting: We will vote on the Board of Directors. Our Board is currently comprised of: Christy Foltz-Ahlrichs, President; Angela Bowman, Vice President; Lindsie Bergevin, Secretary; Lori Wambolt, Treasurer. However, this year we have a change. Lori will not be continuing as the Treasurer and instead will be working to coordinate our charity projects. As a result, the board has nominated Sally Bradley for the Treasurer position and she has graciously agreed to be on the ballot. After business is taken care of we will transition into a regular sew day, so bring a project to work on! As always, bring your modern projects to show off!